MARTA representatives will be on hand for a community exchange session beginning at 6 p.m. followed by public hearings at 7 p.m.
MARTA regularly evaluates bus route performance including scheduling, on-time performance, ridership, and safety. Modifications were recommended based on feedback received from customers and the Authority’s service analysis. 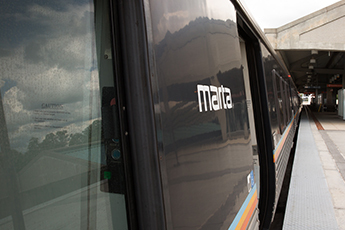 All changes accepted by the MARTA Board of Directors will become effective April 13, 2019. Community Exchange: 6 p.m. – 7 p.m.
A sign language interpreter will be available at the hearing. If you cannot attend and would like to share comments, you may: (1) leave a message at 404-848-5299; (2) write to MARTA’s Office of External Affairs at the address below; (3) complete an online comment card at www.itsmarta.com; (4) or fax your comments no later than Jan. 29, 2019 to 404-848-4179. Copies of the proposed bus service modifications can be found on www.itsmarta.com and will be available at MARTA’s headquarters, 2424 Piedmont Road, N.E., Atlanta, Ga. 30324, from 8:30 a.m. until 5 p.m., Monday through Friday.